Doesn't Matter. Photo:- Darius Ivan. 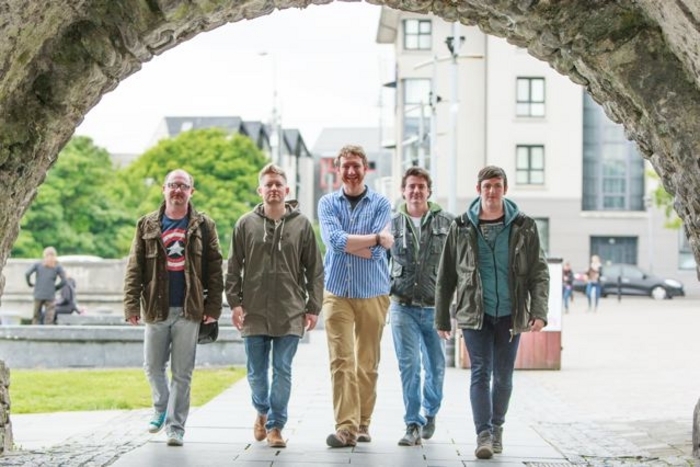 GALWAY ROCK band Doesn’t Matter re-unite for one night only for a concert at Monroe’s Live tomorrow at 9pm, in aid of the children’s cancer charity, Hand in Hand. The band - John Colohan (guitar/vocals ), Gareth Collins (bass/vocals ) Shea McNelis (guitar/vocals ), Jason Walsh (drums. ) and Eamon Ambrose (keyboards ) - were originally together from 1993 to 1999. They will play original songs as well as covers of INXS, Crowed House, The Police, The Waterboys, The Commitments, and the Beautiful South. Hand in Hand is a non-profit organisation based in the West of Ireland. It provides families of children with cancer with access to professional service providers, so families have more time to spend with their children. Tickets are €10 on the door or through www.monroes.ie and 091 - 583397.